There is more to this book than nice stories and pretty pictures... a rare and rich work. The diversity and number of humanoid creatures that flourished in these hidden mists before the villainous encroachment of modern civilization, is limited only by the boundaries of one's imagination. If you are fortunate to have experienced Ron and G's first book, then you are about to be doubly rewarded. 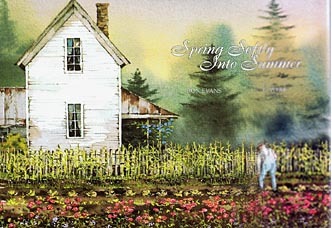 Their second collaboration "Spring Softly Into Summer" is now in your hands! 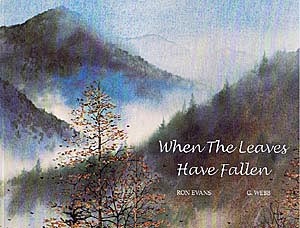 Ron's stories have the melancholy Scottish feel of the Great Smoky Mountains mixed with the brooding power of William Wallace's highlands. The depth and style of G's paintings are at peace with Ron's stories and poems. They enrich and complement each other so comfortably. Tennessee Artist G. Webb was born in Iron Gate, Virginia, in 1949. At an early age his family moved to Tennessee, where he developed a special affection for the South and its people. Painting has always been part of his life. His philosophy is that paintings should express feeling, not be overworked with detail, and should leave something for the viewer’s imagination. His watercolours reveal the spontaneity of his personality. Each new work is an adventure whereby he captures the mood and sensitivity of his subject. His paintings depict life whether it be in the face of an aging gentleman or in the serenity of a hazy mountain morning. G. Webb lives in Pittman Center, Tennessee with his wife Vickie, and Cami Monet, their daughter. 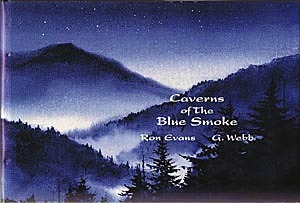 His gallery is located in Gatlinburg bordering The Great Smoky Mountains National park. He enjoys making frequent excursions into the mountains and surrounding rural areas collecting material for his work. 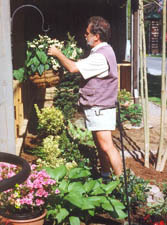 G’s work can be found in numerous private and public collections. His understanding of and ability to recreate both colour and suggestion make his work the highly sought after art that is has become. Ron Evans is one of those unique individuals who has the uncanny talent to express himself in such a way that is delightful entertainment to the reader or listener. It is pure art. He was born July 25, 1936 in the coal mining region of Southern West Virginia. This mountaineer of Welsh ancestory grew up in Maybeury, West Virginia, and has spent his entire life within the Appalachian area of West Virginia, Kentucky and Tennessee. 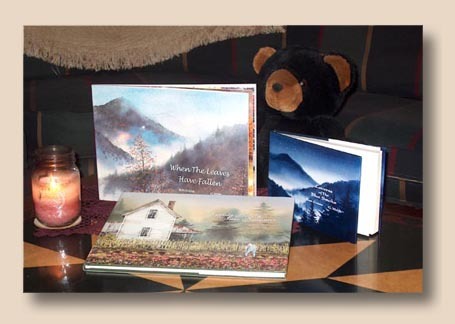 His love for the Great Smoky Mountains is very obvious in most of his writing, and he now lives in Cosby (Cocke County), Tennessee at the edge of the Smoky Mountains National Park.